Bruno Giacosa’s red label Riservas from the 1960s, 1970s and 1980s are, for the most part, such spectacular wines that when you find one that behaves in rather idiosyncratic ways it becomes a cult wine in its own right. 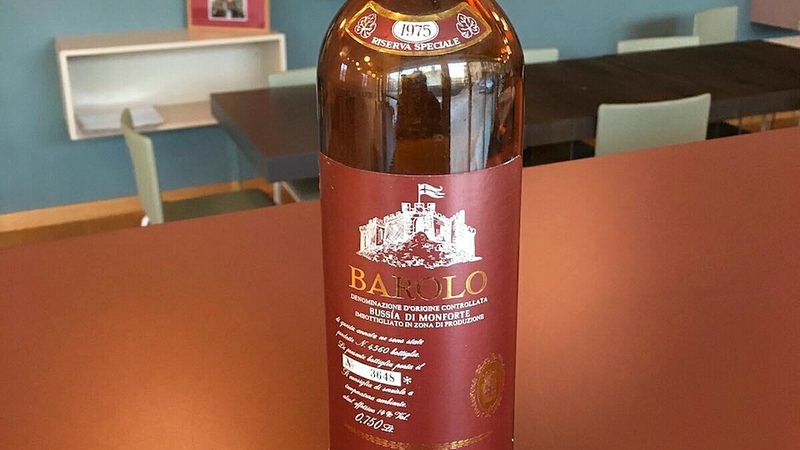 Call me a “wine masochist” if you will, but I have always been attracted to the quirky 1975 Bruno Giacosa Barolo Bussia di Monforte Riserva Speciale, a potentially marvelous Barolo. I mention ‘quirky’ and ‘potentially’ for various reasons. First, 1975 was only the sixth best vintage of that decade (in my view, 1970, 1971, 1974, 1978 and 1979 were all superior), so it is surprising Giacosa decided to bottle this as a red label wine. Then again, I guess it shows just how highly he thought of these grapes and wine to do so. Second, the 1975 Bussia has always performed erratically. Over the years I have had numerous bottles less than memorable bottles, while others were nothing short of superb. Happily, this specific bottle was superlative, in fact the best ’75 Giacosa Bussia I have ever tasted. It had obviously been perfectly cellared, with an astonishing fill and its label in pristine shape. Bright red in color, with only a small garnet rim, the 1975 Bussia offers a rare combination of evolved notes (woodsy spices, tobacco and faded red rose petals), but also considerable fruitiness (lingering red cherry and raspberry aromas and flavors). Multilayered and dense, the 1975 is a joy to taste and drink today, though any remaining bottles are probably best drunk up sooner rather than later. 94/Drink: 2017-2020.